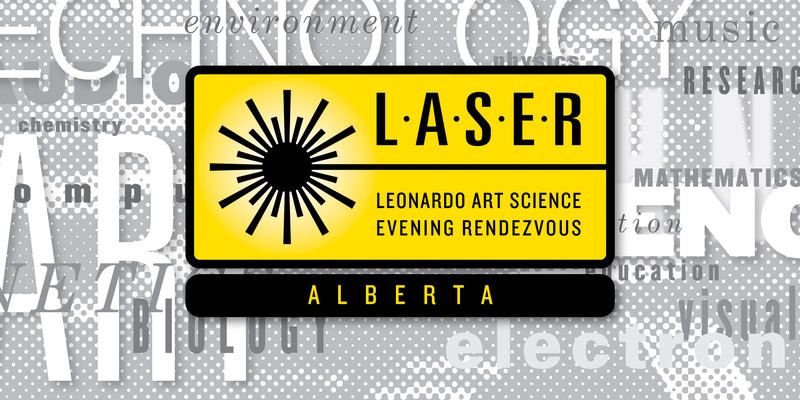 LASER (Leonardo Art Science Evening Rendezvous) is Leonardo/ISAST's international program of evening gatherings that brings artists and scientists together for informal presentations and conversations. Earth Scientists make interventions in the landscape, both physical and conceptual. For example, thinking around the periods of the geologic timescale has evolved over time, such that current practices attempt to resolve ambiguities by defining stratotypes: sections of continuous strata where a single horizon is used as a correlation boundary. One such, marking the Cambrian-Ordovician boundary, is defined at Green Point in Gros Morne National Park, Newfoundland. Likewise, artists creating work that is situated in dialogue with the land and environment have taken a wide range of approaches over time: from major, permanent interventions to less intrusive, ephemeral site-specific installations. These differing approaches can serve in both scientific and creative endeavours as indicators of underlying assumptions regarding the place of humans vis à vis the history of the planet and the natural environment. Boundary|Time|Surface was an ephemeral sculptural work created by artist Sydney Lancaster and geologist John Waldron to interrogate the brevity of human experience relative to the enormity of time, and the fragile and arbitrary nature of human-defined boundaries. The work comprised a fence of 52 vertical driftwood poles, 2-3 metres tall, positioned precisely along the boundary horizon at Green Point in Newfoundland. The fence extended across a 150-metre wave-cut platform from cliffs to the low-water mark, separating Ordovician from Cambrian strata. The installation was constructed by hand in one day, on the falling tide; during the remainder of that tidal cycle, and those following, the fence was dismantled by wave and tidal action. In this LASER, Lancaster and Waldron will talk about the conceptualisation and creation of Boundary|Time|Surface from both artistic and scientific perspectives. Sydney Lancaster is an Edmonton-based multidisciplinary artist and writer, whose approach to art-making is infused with narrative fragments and a penchant for the prairie grid. Her work has been presented in solo and group exhibitions in public, artist-run, and commercial galleries in Alberta, BC, Ontario, Quebec, and Newfoundland. She has received support for her work from the Edmonton Arts Council, the Edmonton Heritage Council, the Alberta Foundation for the Arts, and the Canada Council (through the Art in the Park program). Her practice considers the intersection of place, objects, memory, and time, and includes site-specific installation and sculpture, photography, video and audio works, printmaking, and mixed media/found object assemblage. John Waldron grew up in England, with a teenage enthusiasm for collecting fossils. At Cambridge University he was subverted from paleontology into structural geology by the new theory of plate tectonics. As a postgraduate at Edinburgh University he worked on the geology of southwestern Turkey. He then came to Memorial University, Newfoundland, as a post-doc (though embarrassingly he was only truly 'post' doctoral for 13 days there.) He worked at Saint Mary's University, NS, from 1981 until 2000, when he moved to the University of Alberta, where his research deals with the processes of mountain-building recorded by deformed sedimentary rocks. He received the Gesner medal of the Atlantic Geoscience Society in 2009. Waldron has a strong interest in teaching geology. In an outdoor installation, the Geoscience Garden, he installed ~80 large boulders on campus, creating an 'outdoor classroom'. In 2016-17 he held a McCalla professorship. Leonardo/The International Society for the Arts, Sciences and Technology (Leonardo/ISAST) is a nonprofit organization that serves the global network of distinguished scholars, artists, scientists, researchers and thinkers through our programs focused on interdisciplinary work, creative output and innovation. From its beginnings, Leonardo/ISAST has served as THE virtual community for purposes of networking, resource-sharing, best practices, research and events in Art/Science/Technology. LASER (Leonardo Art Science Evening Rendezvous) Talks is Leonardo's international program of evening gatherings that bring artists and scientists together for informal presentations and conversations. LASER Talks were founded in 2008 by Bay Area LASER Chair Piero Scaruffi and are in over 30 cities around the world. To learn more about how our LASER Hosts and to visit a LASER near you please visit our website. The mission of the LASERs is to provide the general public with a snapshot of the cultural environment of a region and to foster interdisciplinary networking.